Coworkers sad attempt of a main board swap. 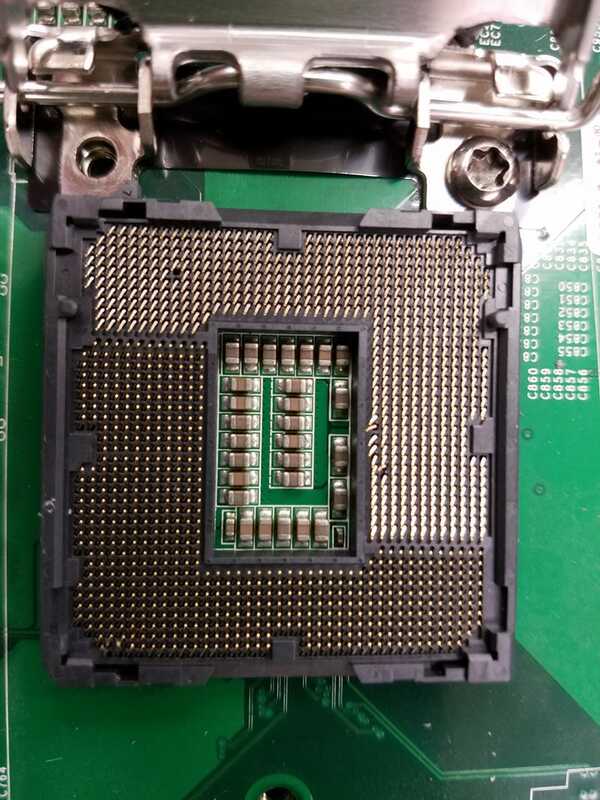 “It won’t boot at all now that I sawpped the board” I’m counting 6 maybe 7 bent pins on the cpu socket. Smooth move exlax. Ah well stuff happens.